I want to go over the most general weakness we find in new athletes of all levels. 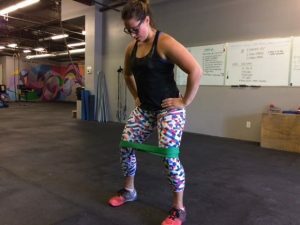 It is risky to make a blanket statement pointing out one SINGLE weakness that all people share, so let’s be more specific… I’m going to teach you how to fix glute weakness – a pervasive weakness! 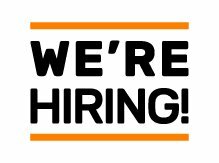 In our majority sedentary population, some people are suddenly getting off their butts and getting into functional fitness training. Maybe it’s because it reminds them that exercise is fun and meaningful. Here, we find a widespread glute weakness that 8 of 10 people seem to have. Humans are designed to move. We are the most “upright” animal, and we have the largest pelvis to shoulder ratio. With this physiology, we need a strong behind to hold us upright! Since today’s society spends nearly all its time sitting, we lose glute strength by sitting on it and not using it. When you decide to start working out after years of inactivity, your weakest link is also the most important link! Problems, aches, and pains can also arise quickly. 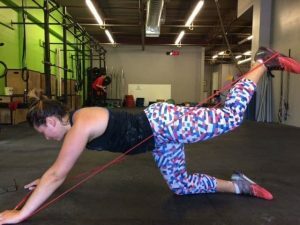 Back, hip, knee and shoulder pain can all be tied to weak glutes. By strengthening your weakest link, you’ll improve numbers in all squat movements, all lifting movements, and mitigate against injury. Let’s move on from the physiology of the problem to fixes! 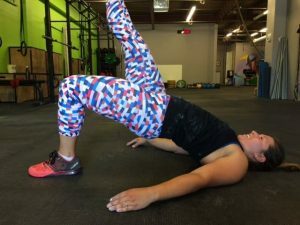 The first step to fix glute weakness is to “wake them up”! Glutes need to be taught to fire up. In every warm up, let’s add in 3 easy glute exercises. They are simple, repetitive, and they look funny… perfect! We isolate each cheek to get a more concentrated contraction. Lift the hips and pause at the top for 1 -3 seconds. Look for that straight line between the shoulders and the knee to ensure a complete rep. Work each side 10 to 20 reps, or until a real burning sets in! Using a medium tension elastic band looped into two (half its original size), place it around the knees. This can also be achieved with smaller, therapy elastic bands; but not everyone has access to those at the gym! The athlete should maintain tension in the band while taking small steps in the shape of a square. Always turn your heels out, “leading” with the heels in any direction. Ten steps in every direction is typically enough! Next step to fix glute weakness is bringing back Jane Fonda! This exercise is just too useful to leave it out. Depending on how weak the glutes are, you can also scale down to using absolutely no resistance at all. Draw one leg, reaching with the heel to the ceiling. Remember to keep the hips square and abs engaged to avoid cheating by twisting and turning. A very light tension elastic is usually enough. Start with sets of 10 and progress to 20 on each leg. 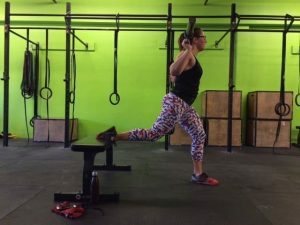 Once the glutes are warm and firing, we can put them to work with another compound movement which uses the posterior chain, but primarily the hamstrings and glutes. 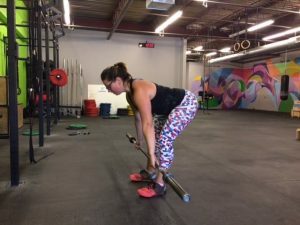 The main difference between regular deadlifts and straight-leg is that it eliminates the use of the quads to start the movement of the barbell upwards. Typical sets of between 3 and 5 reps is ideal, along with sets of 4 to 6 per session. 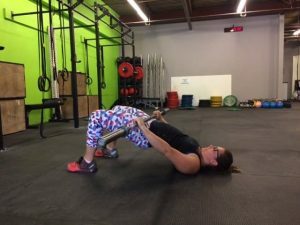 This is an excellent finisher for any workout and works to isolate the glutes. Unlike the warm up version, the intensity is increased by adding a barbell. Typical sets and reps for strength can be followed, but 3 -4 sets is usually adequate. Add a level of difficulty by placing the feet on a swiss ball or a bench. The instability/ elevation makes a huge difference! 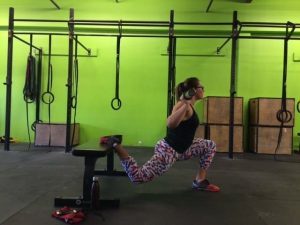 Chances are, you or your athletes are suffering from this pervasive weakness which leads to plateauing in many of the compound movements and pain in the knees, back or hips. 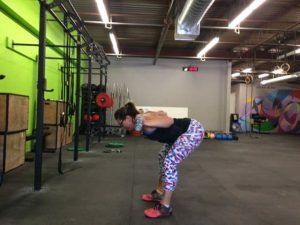 Fix glute weakness in your next training phase to improve performance as efficiently as possible!